I studied the scaled feathers of the quail, remembering my grandfather. He was good a quail hunter, and I loved hearing him tell hunting stories. 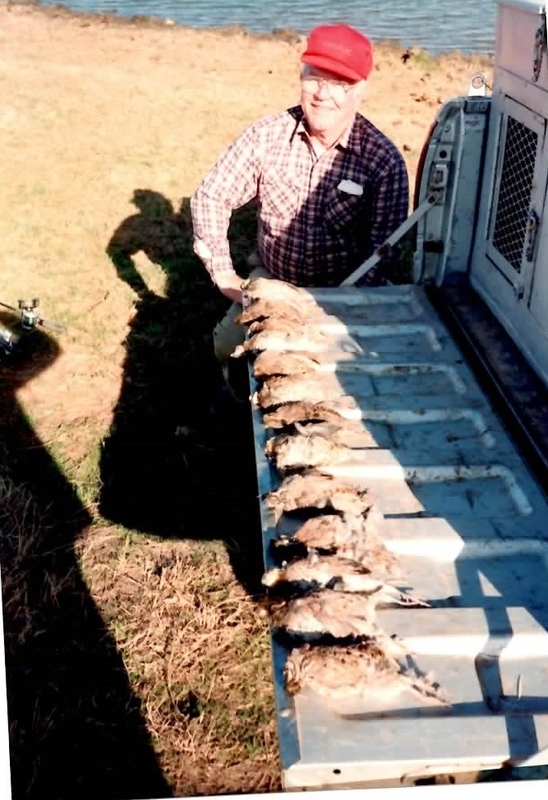 Spending nearly thirty years in Abilene, he killed many quail in West Texas places like Coleman, Throckmorten and the Matador Ranch. 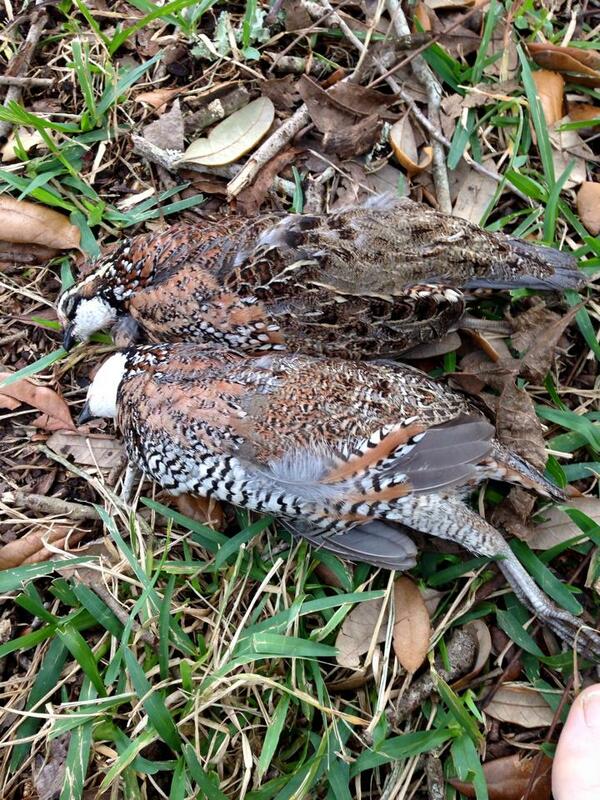 These were the first quail I’ve killed in 23 years. Keegan and I were just getting our stuff unloaded in preparation for an evening dove hunt. Guns still in the truck, a large covey of quail erupted from beneath my son eliciting a humorous squeal and jump from the five year old. “What were those daddy?” he asked. 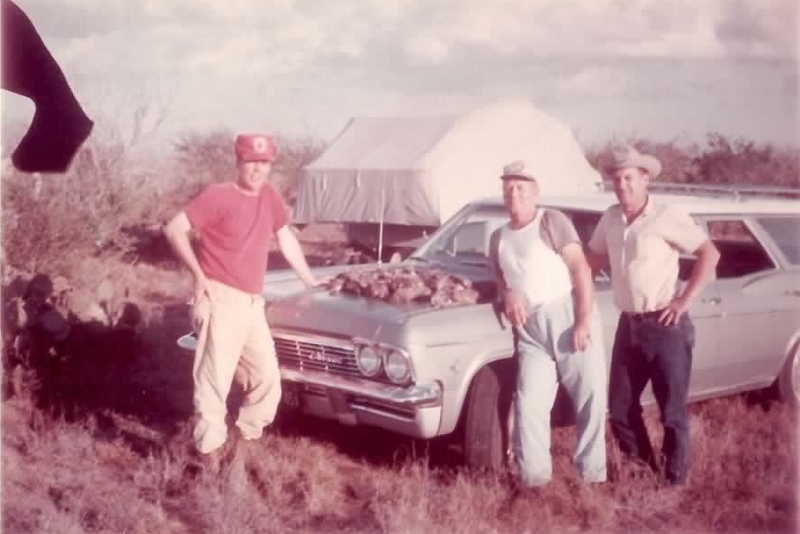 My last quail hunt was with my grandfather in Olney, Texas when I was 13. We had an amazing hunt, killing limits three days in a row. If quail populations ever rebounded to those levels, I might not chase any other game. I watched this covey glide and land fifty yards away next to a wild rose bush. 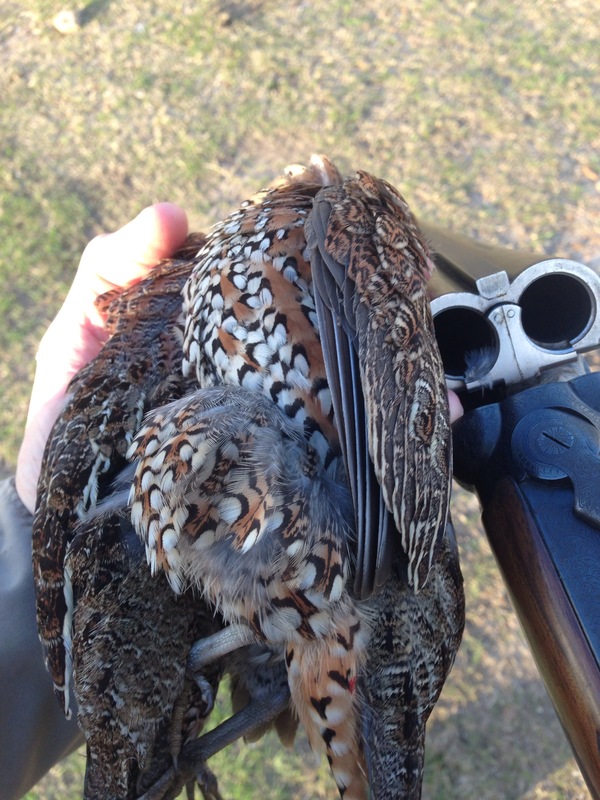 I quickly retreated to my buddy whose land we were hunting, and made sure it was ok to shoot these quail. Keegan and I ambled our way to the rose bush. Word quickly spread of the quail and Michael’s son joined us. We neared the rose bush, and I slowed our pace. I was bookended by a five and 6 year old each about 5 yards from me. I did not want an accident to happen. Within a few feet of the rose bush, my heart was racing. I knew that with each step I took, an explosion of feathers could take place. Nervous anticipation, not unlike opening a can of biscuits, resulted in me holding my breath. Sweat trickled down my face. 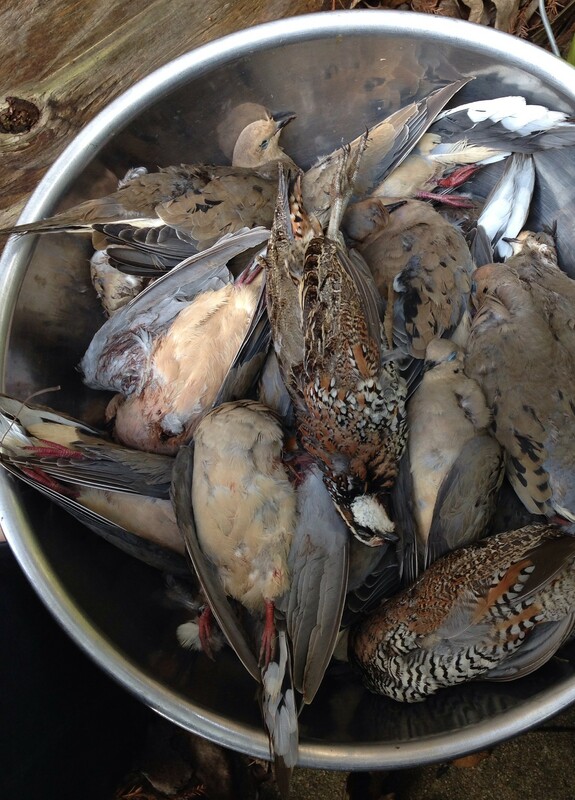 My boot crunched a live oak limb, and up flew four or five quail. Emptying my gun, I missed completely because I aimed at the center of the flock rather than a single bird. I laughed in relief, thinking my grandfather would have slammed them. When two more got up, I calmly nailed the first, but missed the second. Then, as we looked for the first one, I jumped another and killed it as well. 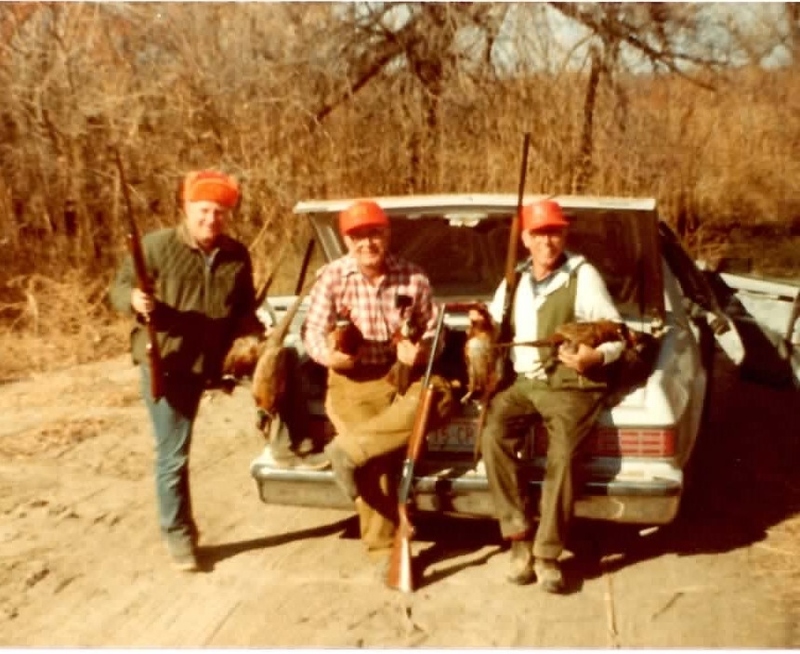 Since he died two years ago, I’ve found myself thinking about my grandfather each time I dove hunt. 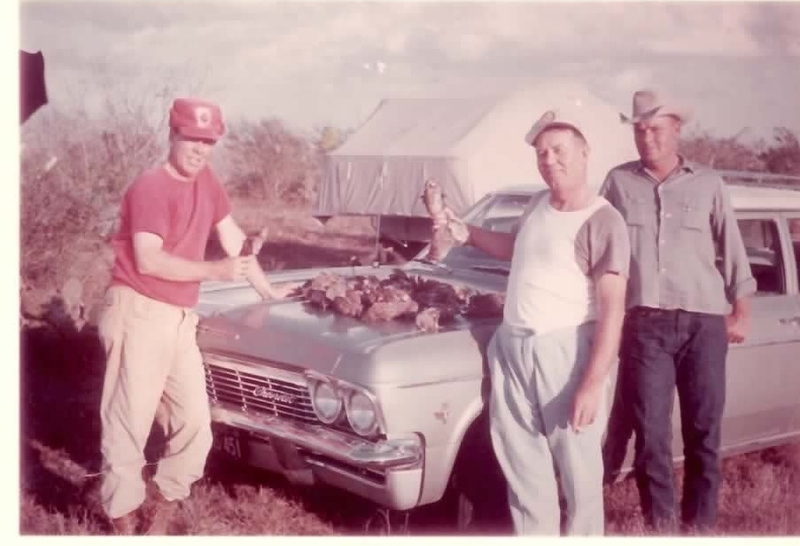 My grandmother gave me some of his hunting gear when he died–a field jacket, hunting bucket, and an old camo cap bearing the name of some Dallas law firm’s First Annual Dove Hunt. As luck would have it, I was wearing his cap and jacket. I like to think he was with me and perhaps had a hand in the covey of quail showing up at my buddies place for the first time. After showing my buddies, we resumed dove hunting. The dove were pouring into the live oaks from all directions. I was shooting well and soon my barrel was hot. Meanwhile, my little boys/bird dogs wore themselves out chasing down the falling birds, while I loaded shell after shell. Though, I could have killed 50, I was more than happy with my limit of 15. 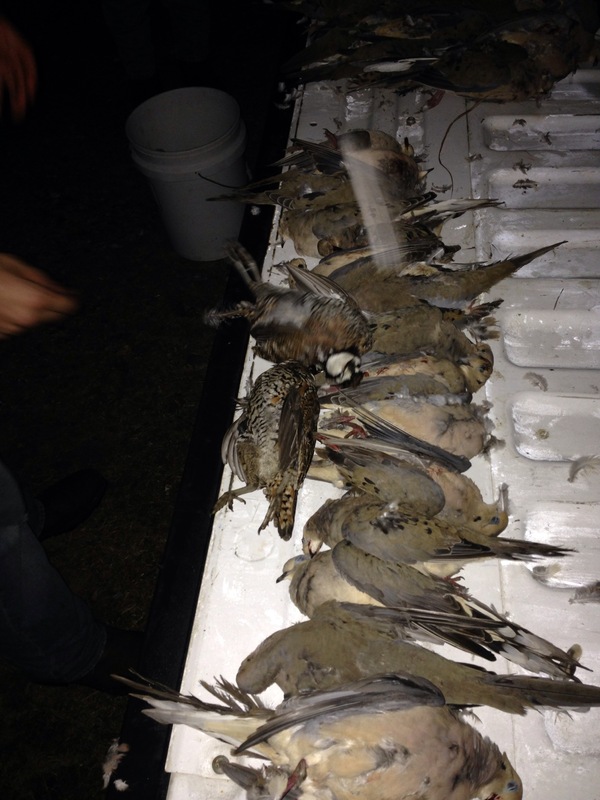 Limit of mourning dove and two bobwhite quail. Unlucky for me, Papa Dave didn’t live in the era of selfies and hero shots after every hunt. But they did take some pictures. I love old hunting photos and thought you might enjoy some of these from the 1970s. One of the few quail hunting pictures I’ve found of him, but typical. Hunting with his two sons, and a host of friends. You did not want to be a thirsty dove if Dave Spencer was sitting by your pond. Pheasants weren’t safe in Kansas either. I’m not totally sure what they were hunting, but I bet it was a good time. I want this station wagon. Pretty cool bowl of birds to clean.